The other day I hit one of my gaming milestones; I acquired my 4,000th video game. Sometimes I think what would my previous self had thought if I knew how many games I would end up owning. Today I'm going to briefly go over this milestone and why it's a big deal to me. When I first started gaming back in 1985 with the Atari 2600, I never could have guessed that games would end up being a major part of my life and shape who I am today. That sounds like hyperbole, but I assure you it's all true. Nothing affected who I ended up becoming like video games did. Before I started grade school, games were just a thing I did to pass time between playing with He-Man toys and running around outside. Granted there wasn't much time between the point I started playing games and started going to school, but it wasn't something that was a key to who I was yet. 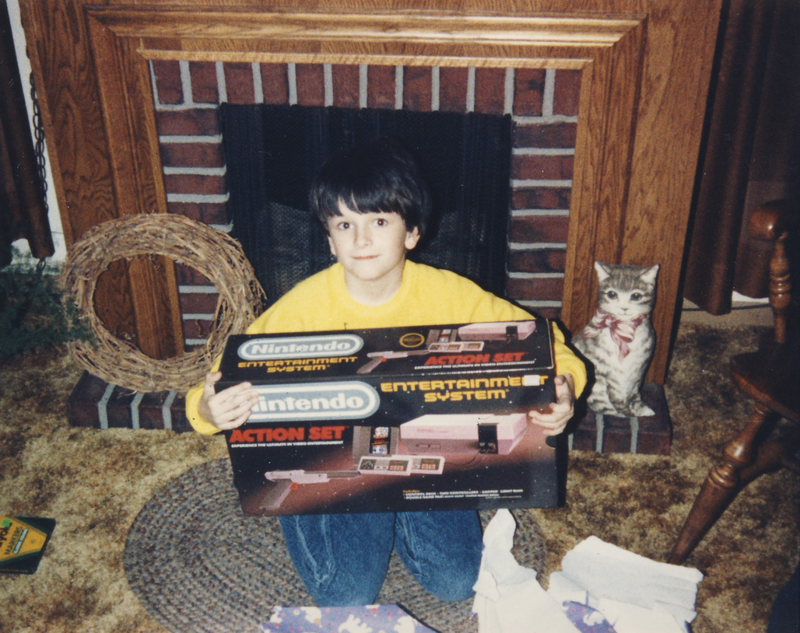 That wouldn't happen until I saw Super Mario Bros. at a classmate's birthday party. I talk more about this in one of the first articles I wrote on this site called Now You're Playing With Power. When I started school, I met many people who are still my friends to this day. We started out as just classmates, but video games brought us together and kept us together for years and years. One of my friends in particular started talking to me because he saw me reading an issue of Electronic Gaming Monthly in the gym one day. I pretended to be Mega Man boss characters on the playground with my friends in grade school. I learned how to make levels in the PC game Doom and posted them online for others to enjoy. I wanted a job when I got out of school where I could discuss and sell video games to people. I started this website. While some of my hobbies and interests have come and gone, I have never stopped playing, collecting, and caring about video games. Over the years, I have amassed a decent collection of games. I won't pretend I have the most because there are definitely a lot of people out there that have a lot more than I do, but I do have a decent collection that I'm proud of. The older I get, the more the collecting aspect appeals to me as I no longer want to play lengthy or difficult games that have steep learning curves. As my collection grew in size, it got to the point where I had to start keeping a list of what I owned, which even then began just as a list of the NES games I owned. When I added the other games to the list and then added up what I had, I discovered exactly how much I actually owned, and it was pretty impressive. Not as impressive as it is now, but still impressive. I began to make notations on games that I called "milestone" games, which were each 100th game I acquired. Unfortunately, the earliest milestone game I have recorded is 1,500, which was Fire Emblem for Game Boy Advance. I try to always have the milestone game I buy be something worthwhile and not some random game I bought because it was cheap. It doesn't always happen that way, though. As I said at the beginning of this little article, I just acquired my 4,000th game. I guess I should say what it was! I chose Ultimate NES Remix for 3DS as my 4,000th game, and there was a bit of thought behind that decision. As you might know from the previous article I posted about collecting games for the PlayStation Vita, I have been buying tons of games for it and I almost have them all. If I had continued to buy exclusively for that without interruption, my 4,000th game would have been the download voucher for MLB 15: The Show. That's not very fitting for a milestone game! I gave it a lot of thought and really started thinking about going out and trying to find the perfect game, so my girlfriend and I headed out to GameStop in search of the two games that would put me at 4,000. The first game I picked up was Tears to Tiara 2: Heir of the Overlord for PlayStation 3. Normally, I would consider this to be a good milestone game, but then I started thinking about Ultimate NES Remix for 3DS. It didn't take long for me to convince myself that it would be the perfect game, because if it wasn't for the NES, I wouldn't have 4,000 games in the first place. It made sense to me. It felt right. Looking back over the milestone games in my collection, they're mostly quality titles with a few accidents here and there. 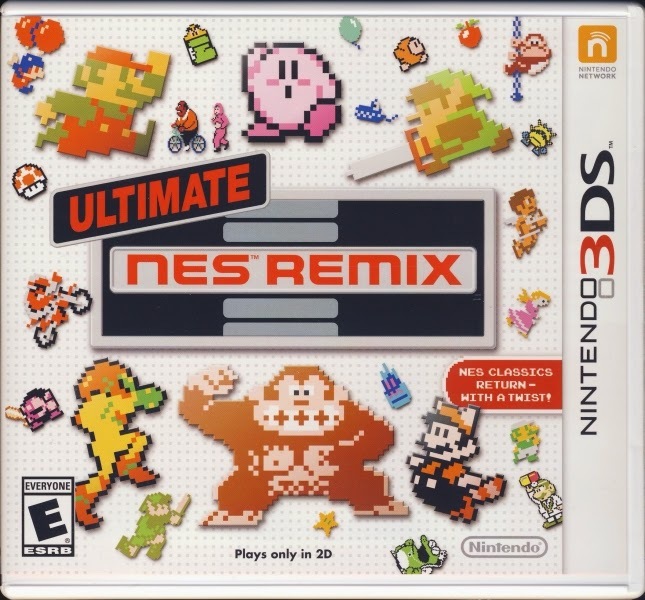 Ultimate NES Remix is the most fitting game by far on the list, though. I wish I knew what my milestone games were before 1,500, though. I unfortunately wasn't keeping track of it then. For instance, I wish I knew what my 100th game was. Thinking about all the games I had as a kid and then the order I received each console, it probably would have been a Super Nintendo game. But which one?! Video games continue to be an important part of my life. What will my 5,000th game be? I guess we'll find out in four or five years! Thanks for reading! Erasing this moment from my past would erase who I am today.